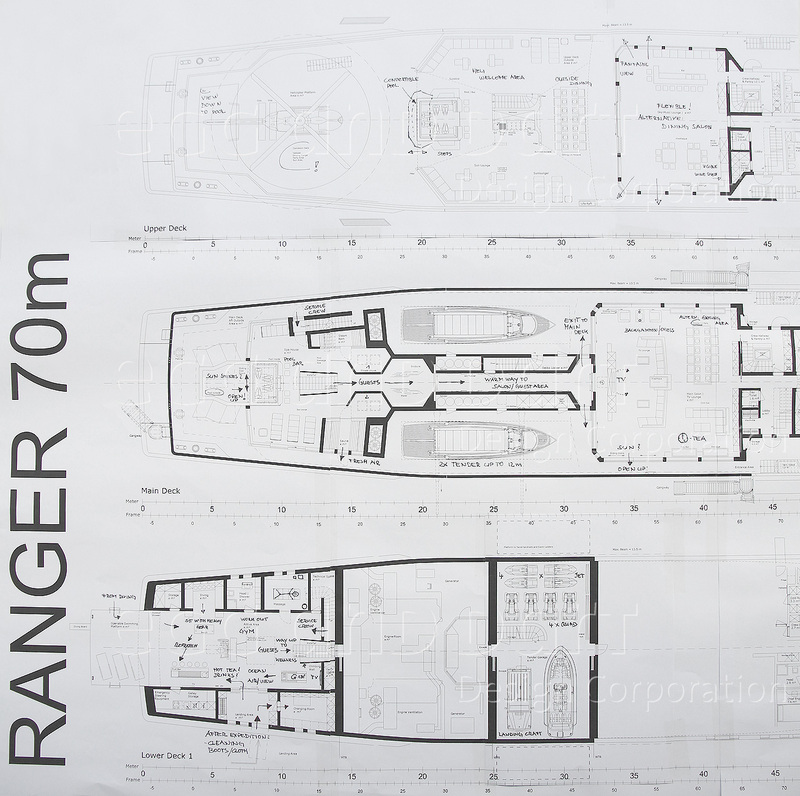 Range at 14 knots| 6000 n.m. 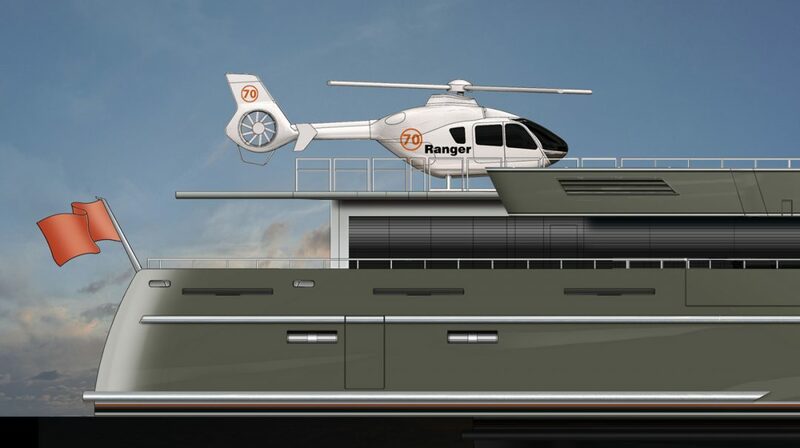 The Ranger Project is on big progress, the 3d model is nearly finished, details will be shown on the Egg and Dart stand on Monaco Yacht Show. 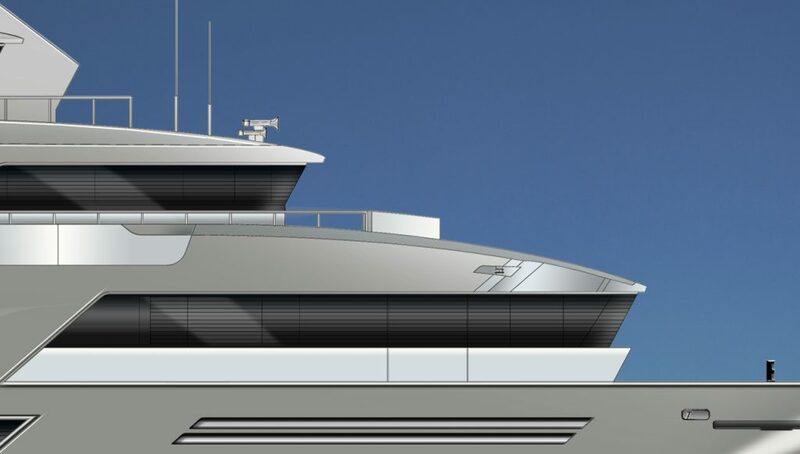 Especially the fact that Egg and Dart are fully aware of the growing requirement for all means of transport to be more eco-friendly, to this effect, the project team have been in consultations with the leading manufacturers of both main and auxiliary marine propulsion units to enable us to offer an eco-friendly technical specification to a potential client. In addition, every effort is made to ensure that the materials used for our interior finishes are from sustainable sources. 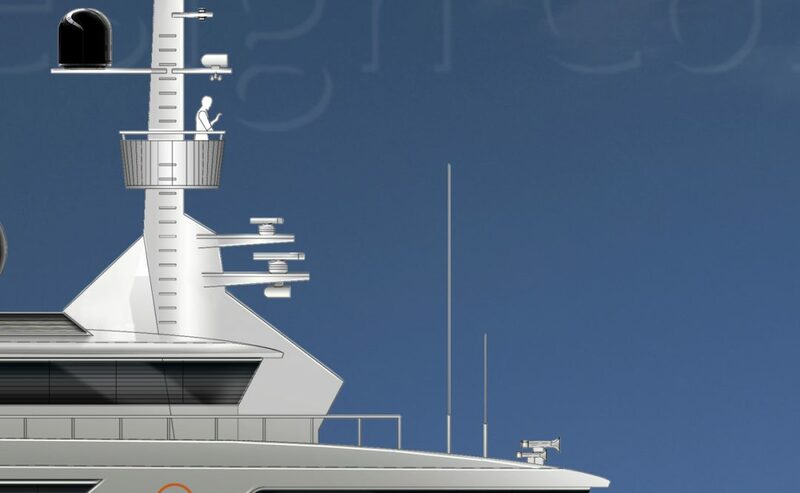 As on all Yachts designed by Egg and Dart enough space for crew guarantees perfect service and safety on board while guest can enjoy nature with lifestyle full of luxury. about the 70m Ranger Explorer Motoryacht?